Planning a plumbing remodel in your home? This can get costly in the hands of the wrong company! 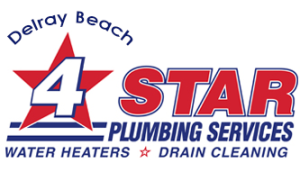 Make the right choice and make the best out of this investment – come to us at 4Star Plumbing Services! Our services cover Delray Beach and its immediate surrounding areas in Palm Beach County, as well as Pompano Beach, Pembroke Pines, Weston, Plantation, Hollywood, and the greater Miami and Fort Lauderdale areas. One call is all it takes and our uniformed plumbing specialists will be on their way to you, ready to provide you with services that will give you your money’s worth down to the very last penny. We value good and thorough communication in the services that we do; that is why our technicians make sure that you are aware of your situation and your options before you write down that check. This way, you can be on top of your costs and you should never have to worry about paying for anything that you don’t need or want done. These values, our promptness in action, and the quality of our services and technicians – these are what earned us an A+ rating from the Better Business Bureau (BBB), great feedback, and a string of happy customers who come back to us for all their plumbing, heating and piping troubles. Our services are available for commercial areas too! Plan your plumbing remodel with us today! In Delray Beach, call 954-776-9888!